As I mentioned on FB, I have a new batcave for the next 6 days. I’m at the Performing Arts Foundation about an hour and 1/2 outside of Paris, trying to make major headway with JUNEAU. If you don’t want to click through to see what it is, I’ll just say that PAF is this enormous convent school with hundreds of rooms that a Dutch guy named Jan bought and renovated so that artists/dancers/writers can stay there and work. Seriously…hundreds of rooms. Or at least a hundred. I got lost today when I went exploring, and had to cross from the east wing to the west through the (wet) courtyard in my socks, coffee cup in hand. 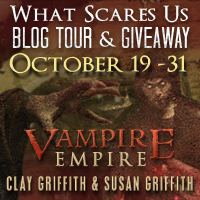 Today I’m hosting Clay and Susan Griffith’s “What Scares Us” blog tour and giveaway celebrating the release of Book 3 in their Vampire Empire series: THE KINGMAKERS. I met Clay and Susan while standing in registration line at the RT Conference last year, and then later discovered that their books are published by my good friend Lou Anders (of Pyr Books), who I used to play D&D with in Alabama when I was 12. Small world, no? Try miniscule. I can’t even tell you how fun this has been to present you with your choices for a DIE FOR ME novella and then watch you vote and comment! Epic Reads has counted your votes. And there was a clear winner. Since it received a whopping 66% of votes, I will be writing DIE FOR HER!!! 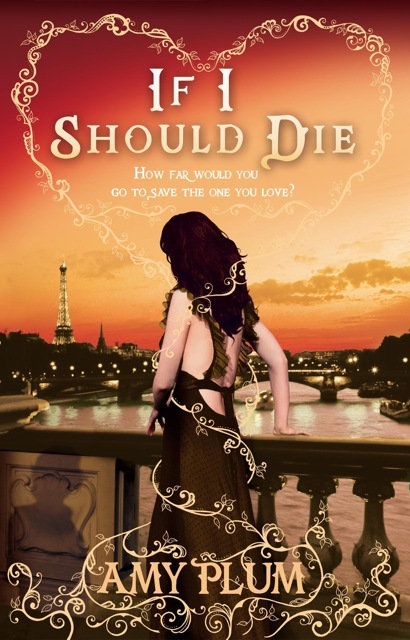 DIE FOR HER will be available as an eBook in April 2013…just weeks before IF I SHOULD DIE is released in May. 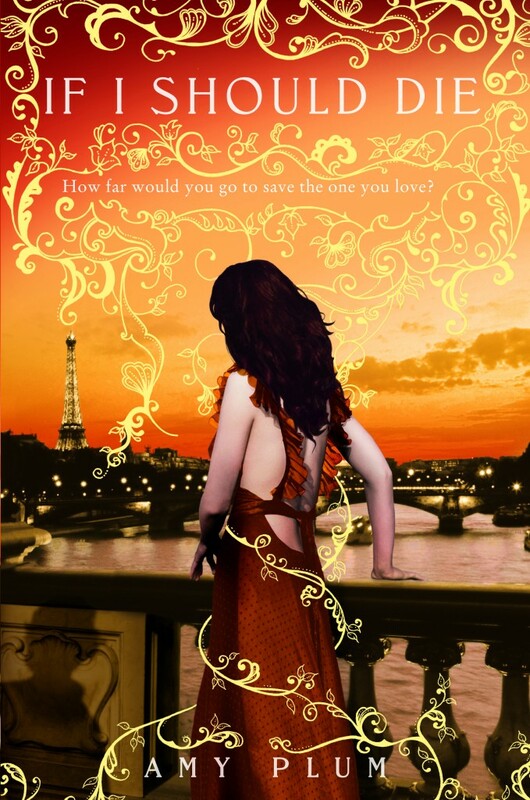 When Kate Mercier walks into the lives of Paris’s revenants, Vincent Delacroix isn’t the only one whose world turns upside down. Jules Marchenoir has spent the last century flirting his way through Paris, enjoying his life as an immortal bachelor. But when he meets Kate and realizes that he and his best friend are in love with the same girl, he is forced to choose between love and friendship. But you know what? THE ART OF DYING came in second, with 10%. Sixteen-year-old art prodigy Jules Marchenoir moves to Paris to join the biggest figures of the European art world in the wildest setting imaginable: turn-of-the-century Montmartre. But his career is cut short when he sacrifices his life to save fellow artist Fernand Leger in the first World War. After animating as a revenant he is forced to hide from the art world where his career was flourishing, avoid any love affair that threatens to expose him, and learn to fight murderous enemies out to destroy his kind. I read all of your comments on the Epic Reads site, and one in particular caught my eye. Jessica Ann McQueen said that she would like to see a mix of the two Jules stories. Well…I think I can arrange that. 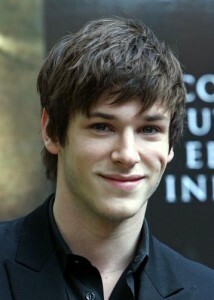 I have to think about it, but I’m sure I can find some way of bringing a little bit of Jules’s past into his present. Maybe a flashback or two Who knows? I want to thank everyone who voted in the DIE FOR ME novella poll. Epic Reads has chosen a winner for the enchanted Lalique frog. See who won here! SO TELL ME…WHO IS YOUR JULES? And here it is in all of its copper and gold and sunrise colored magnificence. The last book in the series. I’m getting a little bit teary-eyed. I can’t WAIT for you to read it. There are so many fun surprises in the book. So, once again, here is the flap copy—now updated so as not to give a Book 2 spoiler!!! Vincent waited lifetimes to find me, but in an instant our future together was shattered. He was betrayed by someone we both called a friend, and I lost him. Now our enemy is determined to rule over France’s immortals, and is willing to wage a war to get what they want. It shouldn’t be possible, none of it should be, but this is my reality. I know Vincent is somewhere out there, I know he’s not completely gone, and I will do anything to save him.After what we’ve already fought to achieve, a life without Vincent is unimaginable. He once swore to avoid dying—to go against his nature and forsake sacrificing himself for others—so that we could be together. How can I not risk everything to bring my love back to me? And for those who like to compare, here are the two covers side-by-side. Both so beautiful. I think I’ll go bake some brownies for the Cover Fairy. I’ve got a little secret I’d like to share with you. I have been asked by HarperTeen to write either a novella or short story based on the DIE FOR ME universe. It will be available in eBook format next spring—just before IF I SHOULD DIE is released. When my editor asked me which of DIE FOR ME’s characters I wanted to write about, I immediately thought of you, my readers. I asked if you could be allowed to choose the story you want to read. So…we’re leaving it up to you, dear readers. Click here to place your vote on Epic Reads for one of the following pieces. 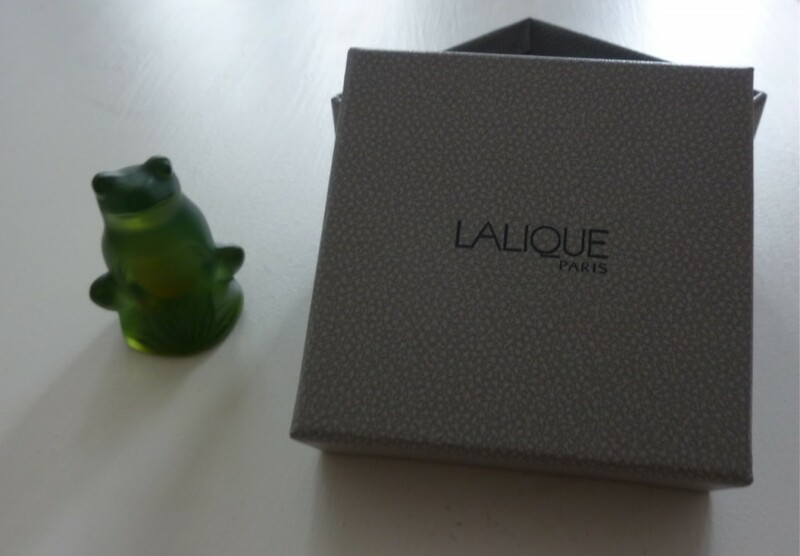 Voting will automatically enter you in a contest to win THE ENCHANTED LALIQUE FROG. This Lalique crystal frog—sent to you straight from France—is guaranteed to transform the boy you’re thinking of into his TRUE FORM. So beware and choose only a strong, trustworthy prince. Otherwise you risk having a slimy toad on your hands. It is 1943, and twenty seven-year-old Geneviève Lefaucheux is killed by firing squad after she is discovered smuggling food to detainees of the Drancy concentration camp, near Paris. Philippe, her husband of three years, is devastated until—a few weeks after her death—Geneviève walks in through their front door alive, uninjured…and immortal. Fifteen year-old Charlotte Lorieux and her twin brother Charles are shot to death after hiding Jewish classmates during World War Two. But, for them, death is not the end. Animated as revenants, the siblings join Paris’s bardia in their war against the evil numa, and the protection of the city becomes Charlotte’s sole focus. Until the day she finds that she has fallen hopelessly in love with a fellow revenant who has already given his heart to another. Charles Lorieux is fifteen when he is killed for his involvement in the Paris Resistance. 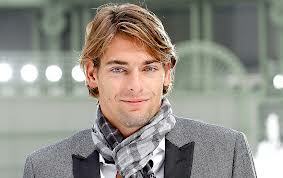 Soon after animating as a revenant, Charles falls in love with a human. But seeing the impossibility of a human-revenant relationship, he breaks it off and spends the next half-century hiding his bitterness at his fate. The day that Vincent brings Kate, his human girlfriend, into the revenants’ world, Charles’s anger reaches a boiling point and he begins to search for a way to escape his destiny. Ambrose Bates is sent from Oxford, Mississippi to France to fight in World War Two. After receiving a letter from his girlfriend that she has found someone else, he decides to sacrifice himself for the members of his battalion who still have loved ones waiting at home. But what he thought was the end is only the beginning, and Ambrose begins his life as an undead American in Paris. I can’t wait to see what you choose!